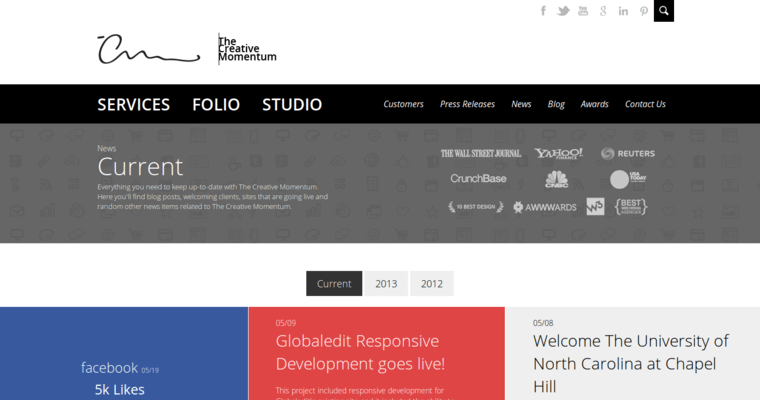 The Creative Momentum is a full service web design firm out of Alpharetta, Georgia. Services offered include web-design, creation of marketing plans, mobile app design, company branding, media enhanced marketing, search engine optimization and business management. The company's professional staff works with clients to develop a comprehensive Internet and marketing strategy that is designed to help clients achieve profit goals. 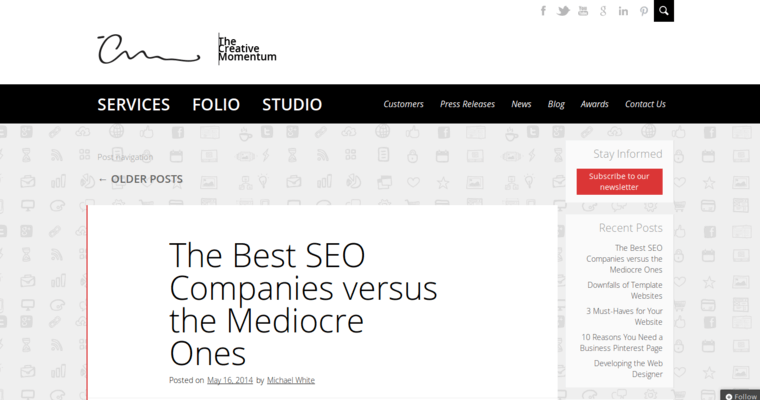 The company specializes in developing interactive websites that incorporate e-commerce solutions, blogs, web-analytic analysis, and integration of mobile access. They also focus on helping companies establish a useful brand. This is done through the development of name recognition, product naming, logo design and product marketing. In this day and age, consumers want more than words and advertising, they want media interaction. 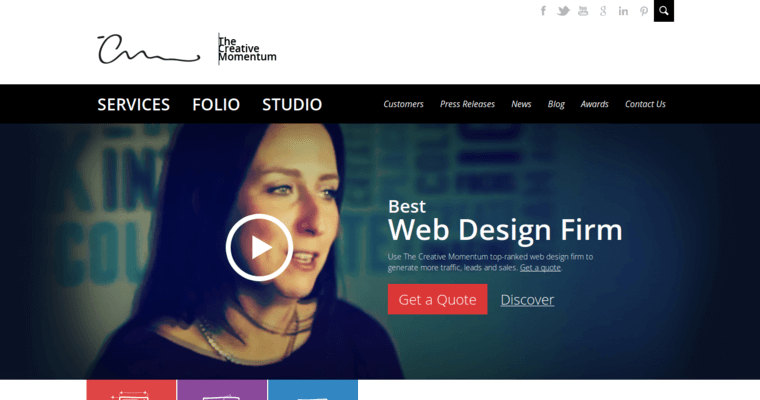 The Creative Momentum works closely with clients to develop a Internet media blitz that includes videos designed to draw consumers based on the company's custom, innovative presentations.